From the Bob Delderfield Collection - Photo Improved by David Hurrell (The photo is undated, but shows the east side of Chapel Lane (formerly Workhouse Lane) unmade and without a footpath). In the early 1800s, Hadleigh had its own workhouse, situated in what has since become Chapel Lane, but which until at least 1875, was called Workhouse Lane. It was owned and run by the Hadleigh Parish Vestry. By the time of a map said to be dated 1895, the road had become known as Chapel Lane. The “Mudge Map” of 1801 does not show any building on the site of the workhouse, but not all the then existing buildings may have been shown. It remains uncertain when the building was first constructed or whether it had another use before being taken over by the parish as the workhouse. The Parish Vestry minutes written on parchment for 1835 tell the story of the poor relief issued to those both inside and outside the poor house. A total of 9 men applied for work (John Gillman, Ben Stowers, Tom Smith, Murrells, Len Heard, Hockley, Stowers, Ben Stowers (again!) and William Oliver), all before the end of April, They were mostly taken on by local farmers such as Higham, Woodard, Tyrell and Wood (all officers of the Parish). One, Murrells, was apparently put to work “in the road”, maybe topping up the potholes in the Causeway across the common (now the London Road from Victoria House Corner to the Old Fire Station). Gillman was found work with Higham rather than grant him a pair of shoes requested for his boys. There were 8 applications for pairs of shoes, for 2 children and 6 adults, but only 6 were allowed. 4 pairs were granted and 2 only given as a loan until they were able to be repaid through installments once they had found work. (One loan to Heard was of 6/- and the other repayable by Mrs Stowers at 1/- per week). James Murrells applied for a pair of shoes and a pair of trousers, but only the trousers were granted. (By 1841, James was employed as a shoemaker!). Some of the family names crop up a number of times as the year passed by. On 23rd April William Oliver applied for work and, on 29th October, Mrs Oliver was granted a pair of shoes. In February, Mrs Hawkins applied for calico for girls and 3 days later, Hawkins was granted a pair of shoes. On 1st January, Passfield applied for a piece of calico for 2 shirts for boy and 6 yds was allowed. On 25th March, Passfield was allowed clothes for boy. Len Heard, who had been loaned money for shoes on 15th January was taken on for work on 29th by Jonathan Wood, but by March 12th 1835,Mrs Heard applied for relief, her husband being not able to work for 3 weeks and this was “allowed to amount of 5/-“. Sadly, things did not appear to get much better and on 15th March, Heard applied to go into the “house” till he was able to go to work, so presumably all the family went into the poor house. Whatever the reason, the Gyants made the most applications. On 1st January, Mrs Gyant was allowed 1 shirt and pair of stockings for boy and Joseph Gyant was allowed some clothes for Eliza Phillips and Mrs Lungley who he had apparently agreed to keep until Michelmas 1835. However, Mrs Gyant was not granted an allowance for her daughter Jane. On 15th March 1835, Joseph Gyant was allowed clothes for girl Phillips. On 1st October 1835, it appears that Mrs Gyant was granted a few clothes for her boy. Robert Cook was granted relief on 12th Feb, on 15th March, he was refused relief while he rented a house and on 23rd April, he was allowed 4/- weekly allowance. On 1st January, Mrs Stowers applied for a pair of shoes for her husband and offered to pay for them by installments and was allowed to pay 1/- per week. Ben Stowers applied for work on 29th January and Stowers and Ben Stowers applied for work on March 12th. 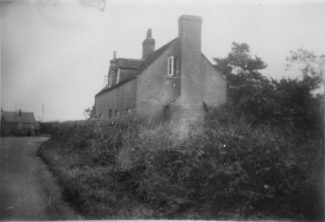 On 1st October, it was agreed that Mrs Stowers should have notice to quit the poor house at 1 months notice, presumably to allow the sale of the property then described as “lately the poor house” as Hadleigh was just about to be taken into the Rochford Union with its poor then to be taken into the Rochford workhouse when built. However, John Stowers was still in occupation at 3rd January 1836 when it was agreed it was to be advertised for sale. The workhouse closed after Hadleigh was taken into the Rochford Union on 30th October 1835 and future Hadleigh poor were sent to the new Rochford Union Workhouse built in 1837 in West Street, Rochford. In September 1836, the vestry agreed to let the pound house and workhouse to the highest bidder for 1 year from Michelmas 1836 and it was let to Mr Woodfield at £10–5-0. A year later, there were no bids to let either and the sale into private ownership followed in 1839. It was agreed to be sold eventually on 13th February 1839 (for £72 including the large adjoining garden) to Mr Osborne of Leigh. A second property, the “pound house”, possibly on the adjoining plot, was sold by the Parish at the same time to Mr H (presumably Henry) Wood of Hadleigh for £50. In the 1841 census, I can find no mention of any continuing use of any Hadleigh property as a workhouse or poorhouse, but the handwriting and quality of the record is poor. By 1851, the Rochford census listed 4 Hadleigh born inmates: Frances Edwards, 76 a male agricultural labourer, Eliza Sealey, 29, an unmarried woman with no occupation, Sarah Kirby, 70, an unmarried woman with no occupation and Bettsy Webb, 9. The vestry would have had to continue making decisions on the local poor after the Hadleigh workhouse closed, albeit to direct them to the Rochford workhouse, but only one example is included within the minutes. On 15th September 1843, Hawkin’s wife and 4 children had been “removed from Thundersley”, presumably either to Hadleigh or to Rochford with a charge to be levied on Hadleigh, but the vestry decided to appeal the case. No result of the appeal is recorded, so the final outcome is unknown. By the time of the 1847 tithe apportionment, the building was no longer owned by the Hadleigh Parish Vestry. (The building covered plots 132 and 133, and the land was owned by Joseph Osborne and occupied by William Dalby and George Towers). The man who more than any other prompted me to research the history of Hadleigh was Percy Snow senior (1883-1971). One of his proud but tongue in the cheek boasts was, “I was born in Hadleigh workhouse, you know.” He was indeed born in what had once been the Chapel Lane workhouse but 48 years after it had been closed. The mansard-roofed building he explained to me was, at that time, two cottages and each cottage had one room down and one up. To go upstairs involved using a fixed vertical ladder and Percy informed me that he was born upstairs! His mother, Rebecca, in her advanced state of pregnancy must have had considerable strength. If you once lived in the Hadleigh “workhouse” or knew someone who did we would love to hear from you.